A new play exploring the life and death of one of Russia’s greatest poets. 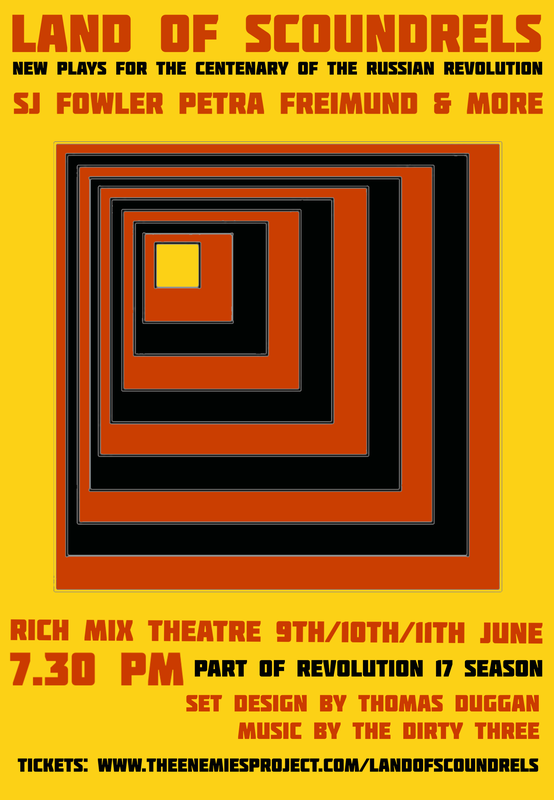 Mayakovsky was commissioned by Rich Mix Arts Centre as part of their centenary commemoration of the Russian Revolution, #Revolution17, in cahoots with the brilliant Dash Arts. Mayakovsky is part of a night of new theatre entitled Land of Scoundrels which features a unique sculptural set design by Thomas Duggan and new music by The Dirty Three. Tickets now on sale. More information here.